Yelp is having an incredibly strong day in the market today, and for good reason. The company recently reported its earnings for the third quarter, blowing away expectations and causing a frenzy among investors. Today, we’ll talk about what we saw from earnings, how the stock is reacting to the news, and what we can expect to see from YELP ahead. 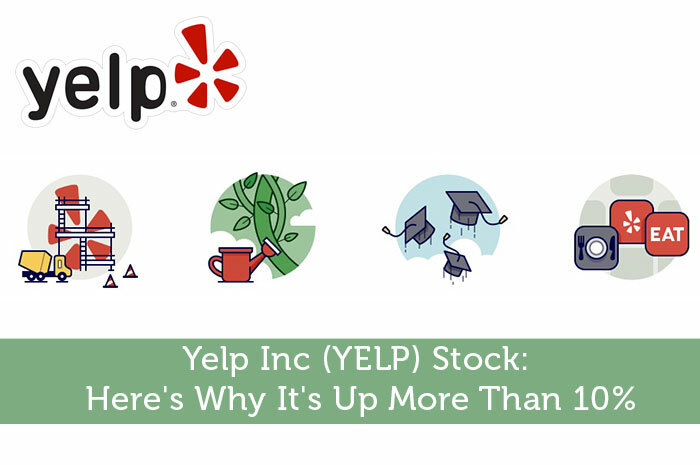 Surprise Earnings – During the quarter, analysts expected that YELP would produce a loss. In fact, there were expecting the loss to be $0.03 per share. However, the company surprised investors and analysts alike when it reported a profit of $0.22 per share; $0.25 ahead of expectations. Revenue – In terms of revenue, YELP also did incredibly well. During the quarter, analysts expected the company to report revenue in the amount of $183.02 million. However, the company actually reported revenue in the amount of $186.2 million. Once again, this figure came in well ahead of analysts expectations. Guidance – Finally, the company offered guidance for the fourth quarter and full year revenue. During the fourth quarter, Yelp is expecting to generate revenue between $191 million and $195 million. This is compared to consensus estimates at $192.70 million. The company also said that for the full year, it’s expecting for revenue to come in between $709 million and $713 million. For the full year, analysts are expecting to see revenue in the amount of $707.97 million. One of the first things that we learn as investors is that it’s important to watch the news, especially earnings news. After all, strong earnings lead to gains while weak earnings lead to losses. In the case of YELP, the report was overwhelmingly positive. As a result, we’re seeing an overwhelmingly positive reaction in the market. Currently (11:03), the stock is trading at $35.56 per share after a gain of $3.08 per share or 9.48% thus far today. Moving forward, I have an overwhelmingly bullish opinion of what we can expect to see from Yelp. The reality is that the company has built a website that has become a household name. Through their website, they’ve attracted all kinds of businesses, and listings continue to climb, even when it seems like the market may be saturated. As a result, YELP is producing better than expected revenue and even surprising investors and analysts alike with unexpected profits. As a result, the stock is climbing today, and there’s a good argument for a long term bullish opinion. So, I’m expecting to see further gains ahead. Where do you think YELP is headed moving forward? Join the discussion in the comments below!